To be honest (and I am always honest), I am not sure why I requested this one. Maybe it was the cover. I also think it sounded like something really different and I was intrigued, though at the time I was not certain it would be a book for me. I should have, probably, went with me gut here. 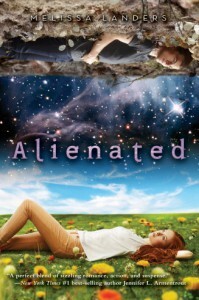 In spite of there being some things I did like about Alienated, for the most part I was underwhelmed and unimpressed. I found humorous. He's an alien, guys! He isn't a human boy, and he doesn't come from here. Things he does are going to be ridiculous. Thoughts that he has are going to be cheesy and stupid because even though he looks like a human, he isn't one. The book is mostly a comedy and it's supposed to be. If you go into it expecting anything different, this is probably NOT the book you should be reading! It really is THAT simple. If you are expecting a serious science fiction novel (though lord knows with that cover why you would be), pick a different book! Do you want to laugh? Do you appreciate silly jokes and amusing conflicts between the sexes of a Men Are from Mars, Women Are from Venus variety? You are probably going to enjoy this. 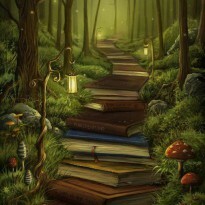 It is not the deepest book I have ever read, by any means, but it serves its purpose. There are a couple things I didn't like. The world building didn't work for me in some spots and I had issues with suspension of disbelief. Why would they use teenagers for this program and not adults? There is no way most parents would allow their kids to leave the galaxy, for chrissakes. And you know, then there was that whole 10,000 years thing. Which, it was neither confirmed nor denied, but there is an ancient tale that the people of Earth came from ancient citizens of L'eihr. Uhhhh, there have been people on Earth for way longer than that, book. O_o What in the hell?! *head explodes from stupidity* And the thing is, this story wasn't even necessary. It could have been left out to no ill effects of the book. Whomp, whomp. The writing was fine, but a bit juvenile. It just didn't do anything for me. But again, this is not a very deep book, so it is to be expected. I appreciate how it deals with Xenophobia, but I also didn't like the portrayal of some of the characters, particularly Tori. I can't really put my finger on it, but the way she treated Cara, the way she went after her boyfriend, who by the way, was really rough with Cara in the beginning, bothered me. He dragged her down the hallway and she did nothing. I had a HUGE issue with that. Why didn't these girls stand up for themselves? Why didn't they get help? It was just icky to me. There was a large military and police presence in this book and yet Eric and Marcus were douchey all over the place and no one intervened. Whatever. I enjoyed the story though it was kind of predictable. I didn't have an issue with that really because it was still well told. I laughed and read through this pretty quickly, but umm, did I miss where the river (and I am pretty sure the author means a smaller river, not the East River, based on the way it is described) and forest is in Midtown, New York? Because isn't that where the Javits Center is? Not exactly rural there, ya know? WHERE IS THE RIVER? Someone tell me. Where is the forest? Where is there room to park a giant spaceship? Okay, I am done. On to the next.